Dog toys are a great way to feed and entertain your dog. Dogs need mental stimulation as much as they need physical exercise but sometimes they get bored with regular dog toys. When they play with a food toy, they are getting reinforced (when they get a piece of food) for playing with the toy, therefore the play often lasts longer. 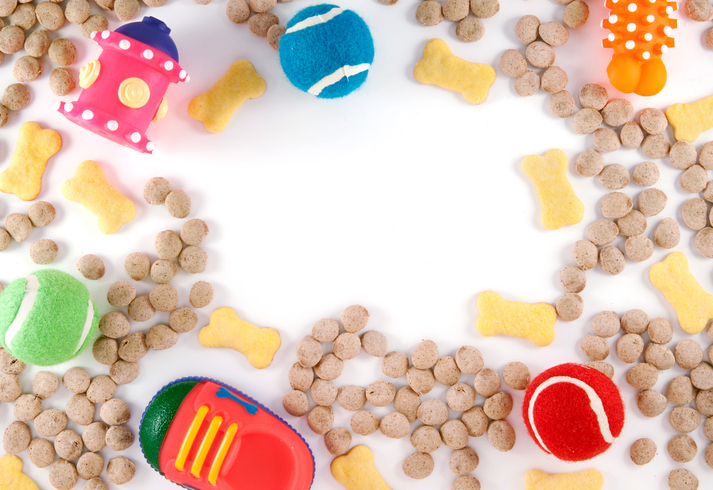 Some food toys also provide physical exercise because the dog pushes the toys around the house or yard. The downside of some of these food toys is that they can get expensive. However, some of the best food toys are homemade and can be far less expensive. Another homemade food toy I like uses a plastic water or soda bottle. Depending on the size of the dog, I will use a small or large bottle. I cut holes in the sides and take the cap off. Next, I fill the bottle with kibble (sometimes I put a few special treats in too). Once the bottle is filled, I let my dog push the bottle around the house or yard. As he pushes the bottle, kibble and treats fall out for him to eat. This is a great toy for mental and physical exercise. As with every toy, make sure your dog does not chew or eat the bottle. If this is the case, this toy is not a good fit for your dog. Not all mental stimulation has to come from a toy. Sometimes I will also do an “Easter egg” hunt for my dogs. Instead of hiding Easter eggs, I will hide kibble and treats around my backyard or in my house. My dogs will spend hours looking for a treat that may have been left behind. This is another way to stimulate your dog mentally and physically. This is a great game to do if your dog will be left alone for a few hours. We all want our dogs to be happy and healthy. 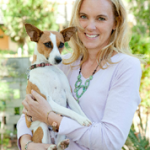 By enriching your dog's mind and body with mental and physical exercise, you are enriching their lives. Give it a try, your dog will love you for it.